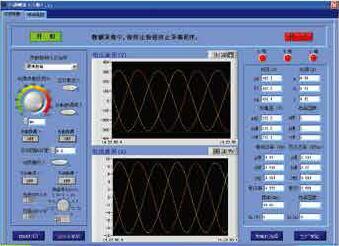 Software - Wuxi LangDi Measurement Control Technolgy Co.,Ltd. LabVIEW is the testing software developed by USA NI and widely used in the measurement field. Thanks to its strong data acquisition and analysis functions and high-speed NI data acquisition card, it can monitor the running conditions of alternator quickly and accurately and indicate real-time status. 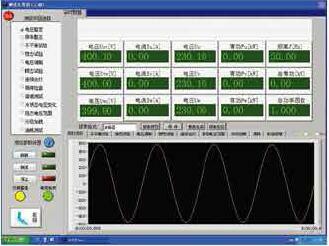 HSJFTest 3.0 is based on LabVIEW and developed for performance test of alternator. Compared to traditional instrument testing, it resolves difficulties of harmonic and vibration tests and optimizes the testing system, providing a more professional alternator testing platform. 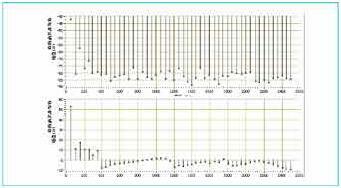 ◆ Real-time waveform monitoring and analysis omits the need for oscillograph and spectra analyzer. ◆ Software controlled testing is more flexible and expandable. ◆ Advanced high-speed and precision data acquisition system provides the quick and accurate measurement. running time, waveform distortion factor and others. 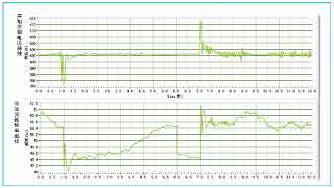 ◆ Strong real-time monitoring provides the real-time running conditions of alternator. ◆ Applicable tests and parameters: voltage setting range test, transient loading/unloading test (transient voltage adjustment rate, voltage stabilizing time and other indexes), stable loading/unloading test (stable voltage adjustment rate, voltage fluctuation and other indexes), line voltage deviation test at unsymmetrical load, line/phase voltage waveform distortion factor, continuous cycle test, voltage imbalance test, temperature rise test, efficiency measurement, etc. We are also able to integrate other applicable tests upon special requests of customers. ◆ Generate the test report quickly and determine the testing result automatically. unloading and monitor the adjustment rate and stability of voltage an frequency.